Knitted a multiple of 4 sts, +1 and a 12-row repeat. 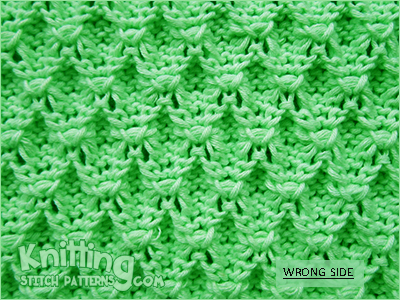 Row 1 - wrong side: Purl. 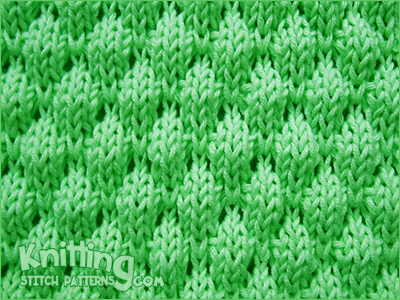 Row 6: * Knit 3, knit 4 below; repeat from * to last st, knit 1. Row 12: Knit1, * knit 4 below, knit3; repeat from * to end.